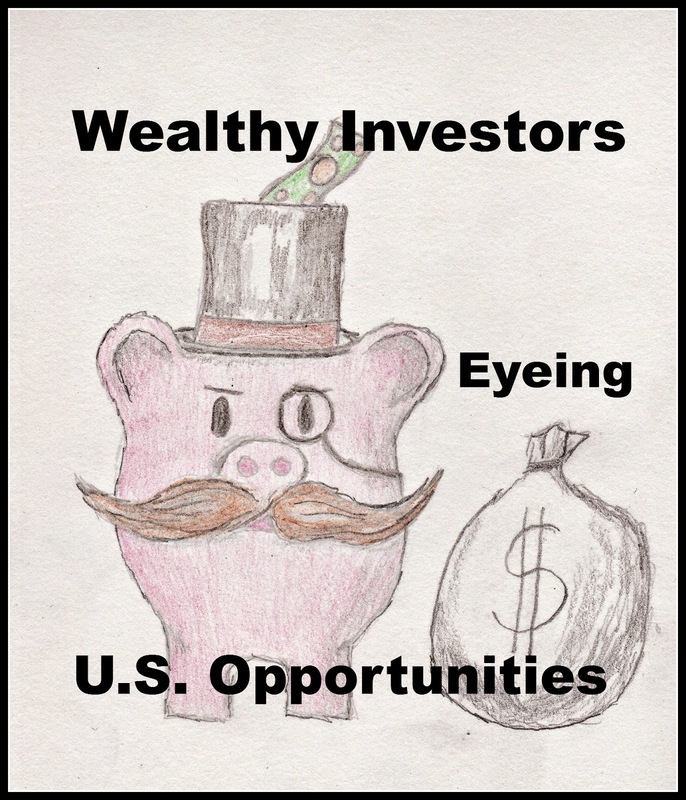 Academic-Capital: Poll Shows Investors are Optimistic in 2014-Can We Find a Place for Their Money? Poll Shows Investors are Optimistic in 2014-Can We Find a Place for Their Money? A Morgan Stanley poll of high net worth individuals found that 88% of investors are optimistic about their future economic prospects. High net worth individuals are people 25-75 with at least 100K in investable assets. A third of these individuals have at least a million dollars of investment assets and can significantly impact national economic growth if they believe that investing today will earn them higher rates of return in the short, medium, and long-term future. Investors are expecting a positive investment environment over the next year. Eighty-eight (88%) believe their worth will rise, 84% believe their investment portfolios will stay the same or improve, and 70% envision a better investment climate. This optimism pushes the belief that investment prospects are growing and a few gold nuggets provide for higher growth sectors. Positive impressions are persisting despite some looming problems in the governance and the geo-political issues of our times. A total of 90% of those polled are somewhat concerned about prospects of the nation, 87% about government budgets, 82% about international conflict, 81% about trade deficits, and 75% about terrorism. America has a stable but adjustable system that can attract investors if they believe policy makers are trying to solve problems and create win-win situations. Starting to make small adjustments in government spending to ensure that money is being wisely spent in a manner that raises the functionality of the nation; economic and human. The very way in which government representatives handle international conflict to reduce risks or the development of stronger treaty management to fosters hub growth can be an important topic of discussion. This year technology is seen as a hot market by 72% of investors who feel it has high growth potential. New products are being developed at a sufficient pace to make investment returns higher than other markets. Other areas of positive investment include bio-tech (67%), energy (66%), pharmaceuticals (61%) and communications (54%). The U.S. is considered the best place to invest money by 52% of investors followed by China (41%), India (39%), Japan (38%) and Brazil (34%). National investment positions are a vote of confidence in the entire environment that includes everything from infrastructure to political stability. Those who prefer one nation over another due so based upon risk assessment and their personal affiliations with that culture. High optimism are rare opportunities to boost improving growth by putting together investment pathways through better open data management. Economic growth is heavily influenced by human psychologies (Dhaoui, et. al., 2013). Encouraging investors to find locations where their personal investment optimism match with local clusters that need investment capital can make a difference in national growth. Approximately 2.5 trillion dollars are held by institutional investors in the U.S. (Voorhes & Humphrey’s, 2013). Factoring in sustainable and responsible principles among the decision-making matrices institutional and capitalist investors use can better ensure this money is making it to areas that have the widest sociological and economic impact. When investors and labor both reap the benefits societal stability increases and motivation rises. American growth relies on many factors that are too numerous to mention within a short article. It is possible to say that improved investment optimism, stronger political decision making, and stronger information on investment “hot spots” within local clusters and hubs can ensure that optimism doesn’t go to waste. Optimism can beget more optimism with paths open to more opportunities. Dhaoui, A. et. al. (2013). The impact of investor psychology on stock markets: evidence from France. Journal of Academic Research in Economics, 5 (1). Voorhes, M. & Humphreys, J. (2011). Recent trends in sustainable and responsible investing in the United States. Journal of Investing, 20 (3).